Pleated dress pant in a year-round wool blend. Perfect for hotel, restaurant, finance, or security image apparel programs. 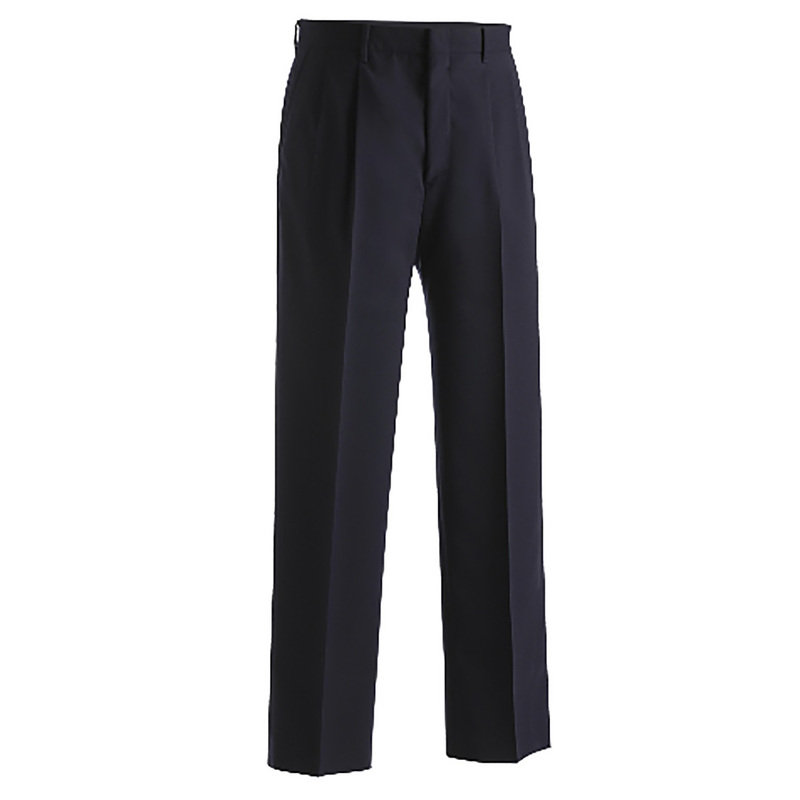 Indicate your inseam and the pant will be hemmed prior to shipping. Companion style is #8783 55% Polyester/45% Wool; 11/11.5 oz.wt./lin.yd.